Applications are now open for the Winchester Cup cocktail competition. Organised by the Winchester Cocktail Week team in collaboration with the UK Bartenders’ Guild (UKBG), the Winchester Cup is held annually during the city’s cocktail festival to celebrate to creativity and the use of local ingredients. The competition is open to bartenders within a 55-mile radius of Winchester. Entries should be submitted using the below form no later than Sunday 27 January 2019. Your drink should showcase your understanding of flavours and your flair for creating exciting drinks. It should contain a maximum of five ingredients, including one which is locally sourced to you. Judges will be scoring points based on your drink’s name (5pts), appearance (10pts), aroma (10pts), flavour (20pts) and use of local ingredients (5pts). If your entry is shortlisted, you will be notified by email w/c 28 January 2019. 1. This competition is open to residents of the UK aged 18 years or over. 2. Details of how to enter form part of the terms and conditions. It is a condition of entry that all rules are accepted as final and that the entrant agrees to abide by these rules. 3. To enter this competition entrants must submit their cocktail specification on the Winchester Cocktail Week website before midnight on Monday 28 January 2019. To qualify, cocktails must contain no more than five ingredients plus a garnish. 4. Entrants will be shortlisted by the Organisers and the finalists will be notified of their success on or before Wednesday 30 January 2019. 5. 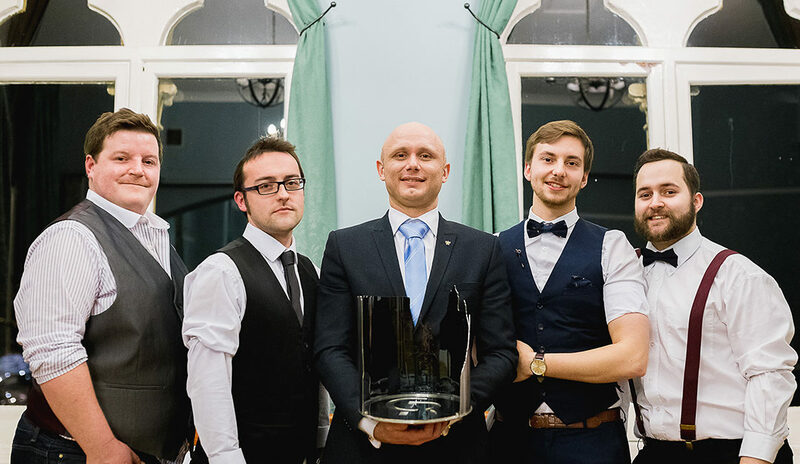 Finalists will be invited to make their cocktail before the panel of judges and a group of local hospitality professionals at a central Winchester location from 6pm on Monday 4 February 2019. Upon acceptance of this invitation, it is the responsibility of the finalist to ensure he or she is on site at least half an hour before the start of the event. Transportation, accommodation or any other expenses incurred as a result of participating in this event will not be reimbursed by the Organiser. Acceptance of this invitation will be considered acceptance of the terms and conditions of entry in the competition. 6. The finalists will be required to create three serves of their submitted cocktail for the judges and will provide their own ingredients, garnishes and any special equipment or glassware required to create and serve their cocktail. Ice will be provided. 7. The judges will judge each cocktail based on the following criteria: Name (5 points), Appearance (10 points), Aroma (10 points), Flavour (20 points), Use of Local (5 points). The decision of the judges is final and no correspondence will be entered into. 8. The overall winner will win a prize, to be confirmed by the Organiser. 9. Upon request, the Winchester Cup trophy will be delivered to the venue represented by the overall winner within one month after the event. Permission will be granted to the venue to hold the trophy and use it for display and/or social media and marketing purposes until one month prior to the following year’s competition. The trophy remains the property of the Organiser and it is the responsibility of the winner’s venue to ensure that it remains in good condition and undamaged. The venue may be held liable for costs of cleaning or replacement should the trophy be damaged while in its care. 10. The prize is non transferable and there are no cash alternatives. 11. The finalists and their cocktails may be named in subsequent publicity. The cocktail specifications remain the intellectual property of the respective competitors. 13. Events may occur that render the competition itself or the awarding of the prize impossible due to reasons beyond the control of the Organiser and accordingly the Organiser may at its absolute discretion vary or amend the competition and the entrant agrees that no liability shall attach to the Organiser as a result thereof.